Can technology help in Suicide Awareness and Prevention? More so, can technology help make our communities suicide safer? I think so. Facebook, Twitter, Blogging, Apps and now QR codes. By reading this blog entry you would be considered to be participating in the incredible world of social media. Even though you might consider yourself a reluctant participant, it’s hard to disagree with the potential that these tools have in generating an open dialogue on suicide and getting people engaged in suicide prevention. Over the past few days I have been exploring what is known as ‘QR Codes’. These ‘codes’ that look like a blob of ink on paper resulting from a printer malfunction are actually an immediate conduit to information. 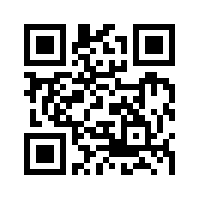 I will add more to this blog post over the next few days but in the meantime; download a QR code reader for your smartphone and try to scan this one on my blog entry.